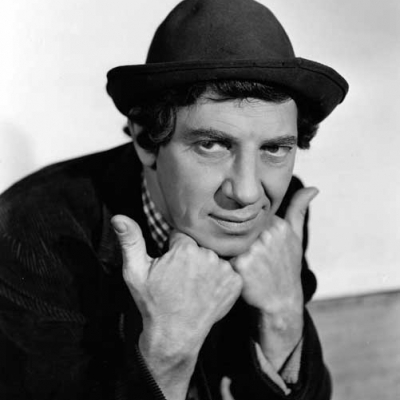 Leonard Marx (March 22, 1887 – October 11, 1961), known professionally as Chico Marx, was an American comedian, musician, bandleader, actor and film star. He was a member of the Marx Brothers. His persona in the act was that of a charming, dim-witted albeit crafty con artist, seemingly of rural Italian origin, who wore shabby clothes and sported a curly-haired wig and Tyrolean hat. In virtually every film that includes the main trio of the Marx Brothers, Chico is seen working with Harpo Marx, usually as partners in crime. Leonard was the oldest of the Marx Brothers to live past early childhood (first-born Manfred Marx had died in infancy). In addition to his work as a performer, he played an important role in the management and development of the act in its early years.